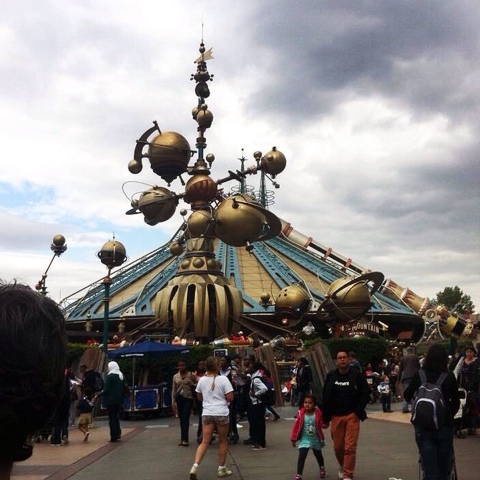 As promised in my Austria Photo Diary, I thought I would share some pictures from my trip to Disneyland Paris last year! 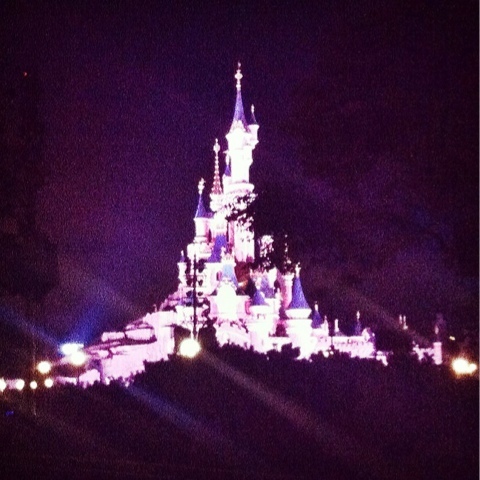 It's one of my favourite places ever and I went there several times when I was younger, so it was amazing to go back! The first place you come to is the Disney Village, where there are loads of Disney themed shops selling all kinds of things! There's also a massive Planet Hollywood restaurant. 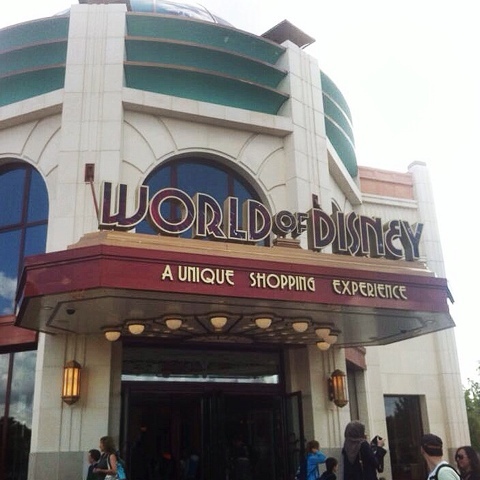 The World of Disney is the main shop, and it basically sells everything Disney related! Although it was a cloudy day when we went, the castle still looked amazing, and you can see it the second you walk through the park gates! 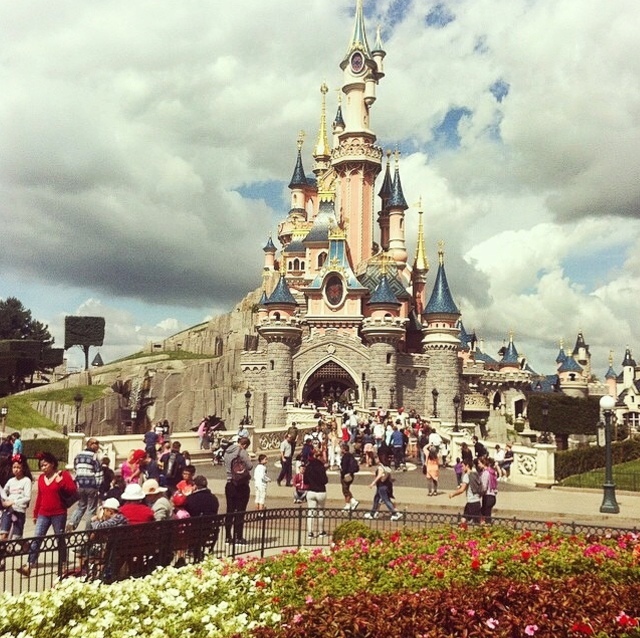 Once you go through the castle, you reach Fantasy Land which has loads of rides, mostly for younger children. The other lands in the park are Adventure land, Discovery land and Frontier Land. Discovery land is the home of the infamous Space Mountain ride, my second favourite ride after Rock n Rollercoaster! It also has the Buzz lightyear right which I loved when I was younger! 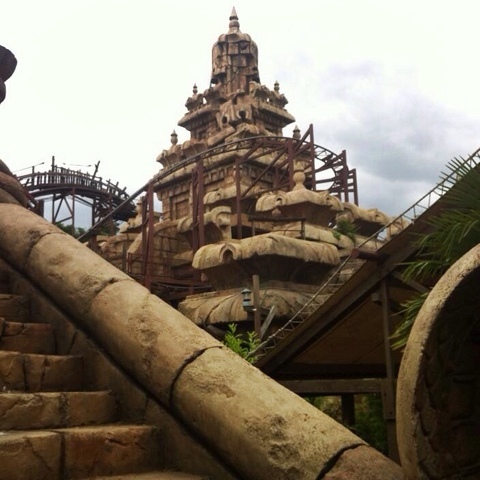 Adventure land and Frontier land also have some amazing rides such as Pirates of the Caribbean, Indiana Jones ride (pictured above) and Thunder Mountain. 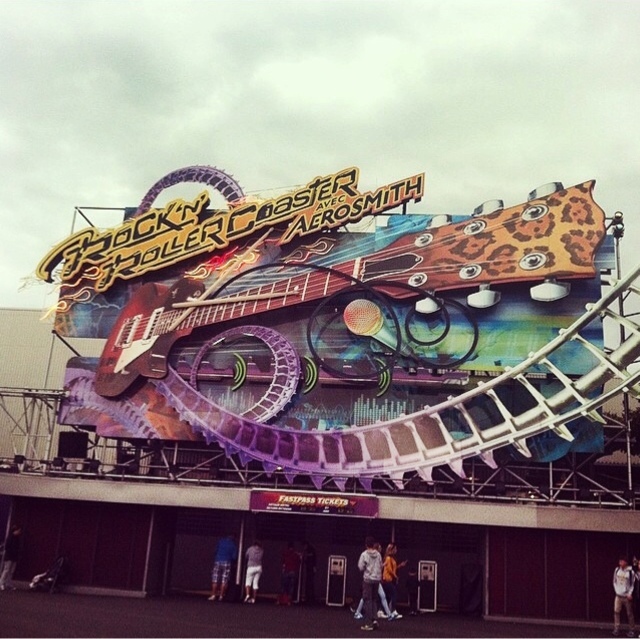 They also have some amazing themed restaurants! Another great memory of the day was the parade. 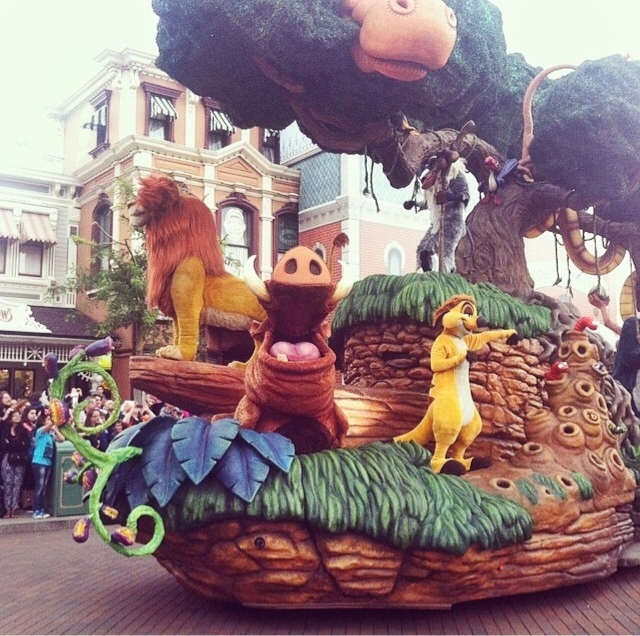 I've watched the parade every time I've gone to disneyland and it's always my favourite part! Some of the floats haven't changed since I last visited in 2009, but the main song has changed, and some new films have been added such as Frozen! 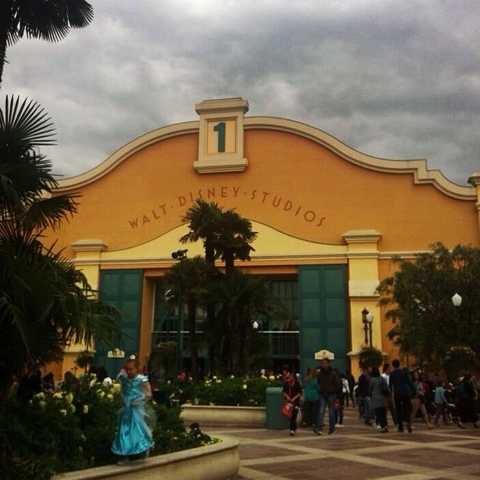 In the afternoon, we went to the Walt Disney Studios park, which has some amazing rides such as Rock n Rollercoaster (which I went on about 15 times), Tower of terror and the Toy Story rides! 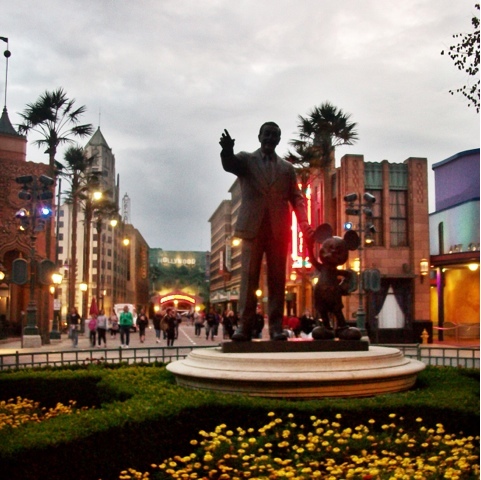 Although Walt Disney Studios has a lot less rides, it is a lot less hectic than the main park area, and this park of the park is buzzing at night! At the end of the day (it was literally about 11pm) we watched the fireworks show. I'd never seen it before and I thought it would just be a short firework display, but it lasted about 40 minutes and it was amazing! 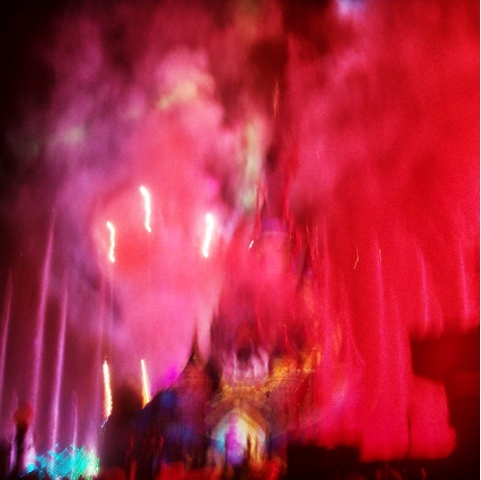 They had projections of characters so that they looked 3D and they played multiple songs from different Disney films to go with the fireworks! 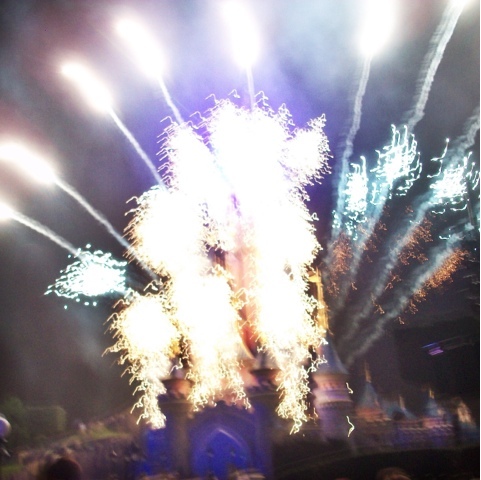 Unfortunately my camera went a bit weird when I was trying to take the photos, but the show was the perfect end to an amazing day!